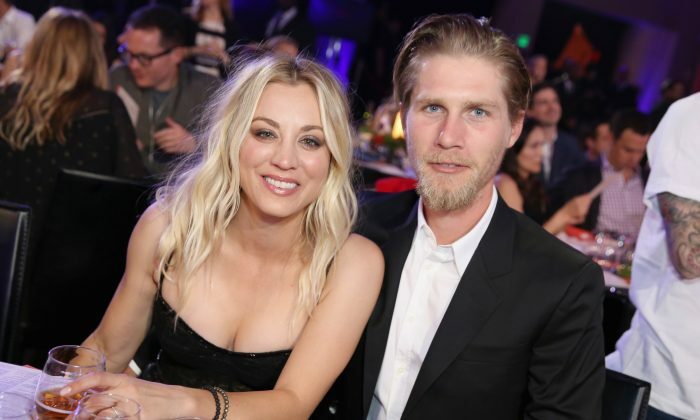 Kaley Cuoco and her husband Karl Cook recently celebrated their beautiful wedding. However, the 32-year-old “The Big Bang Theory” star went into shoulder surgery just five days later, making their honeymoon a little less romantic and a little more comical. On Thursday, Cuoco posted a photo of herself on a hospital bed with her 27-year-old husband beside her. Cuoco’s husband really did share some “hilarious gems” on Instagram before and after the star’s shoulder operation. As for what has prompted the surgery, it was not disclosed. The couple married on June 30 and didn’t miss the opportunity to make each other laugh even during their lovely ceremony. Here’s to many more years of laughter! Happy ever forever ? ? wearing custom @reemacra in my dream cape and @jenniferbehr in my hair!.. ? @claudcraig ?